Although it remains out of sight in our homes, insulation is our greatest ally in the struggle to save energy and keep our spaces toasty warm in the winter and cool in the summer. Insulation is the strong, silent type. Although it operates behind the scenes for the most part, it plays a vital role: keeping us comfortable indoors. Unlike fuel or electricity, insulation doesn’t cost anything from month to month, but it works to maintain a warm temperature in winter, a cool temperature in summer. Despite the big difference insulation can make, many homeowners ignore its advantages. In one study, the Harvard School of Public Health found that 65 percent of homes in the United States contain substandard insulation. If in every one of those instances the insulation were brought up to the standards set by the International Energy Conservation Code, we would save 800 trillion BTUs annually—an amount of energy equal to 75,000 supertankers’ worth of crude oil! So if you’re building a new home or seeking to improve the energy efficiency of an existing dwelling, don’t be mistaken—at home, what you can’t see can help you. There are several different types of insulation, each with its own set of attributes and ideal applications. If for any reason a single solution is judged to be unsuitable for your home, then for optimal results it’s not only possible but recommended that you install a combination of insulation types. 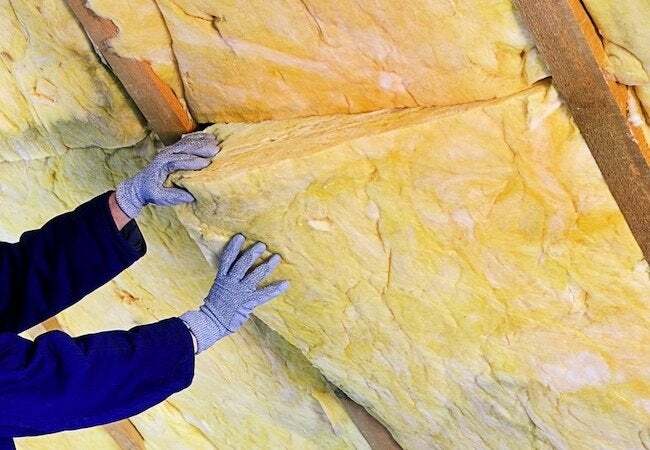 Most common of all is blanket-style insulation, made from either fiberglass or rock wool. The material comes in rolls or square batts (with or without a foil or paper backer). 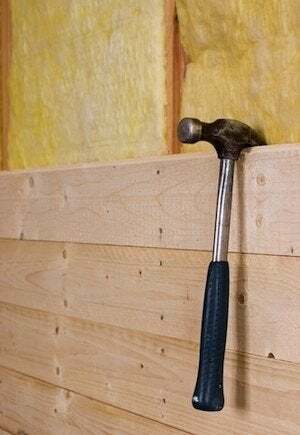 For the convenience of contractors and do-it-yourselfers alike, blanket insulation comes presized to fit between most studs, rafters, and joists. 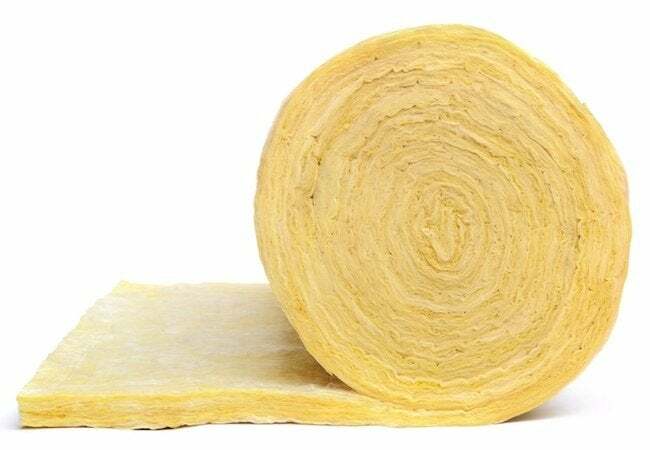 Meanwhile, loose insulation works best in parts of the house where there are irregular surfaces, or where major system components like the furnace are present. This type of insulation consists of either fiberglass or rock wool that blows into place by means of special equipment. Professional installation is advised. For home exteriors, basements, and crawl spaces, opt for rigid insulation, whether foam- or fiber-based. 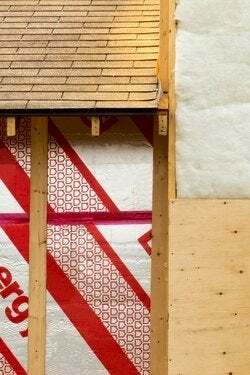 A relatively new addition to the home-building and remodeling market, rigid insulation has quickly become a favorite, because it packs a lot of insulating power, measured as R-value, into a thin profile. Closed- or open-cell spray foam insulation is resistant to mold, unlike other insulation types, and closed-cell foam in particular boasts an outstandingly high R-value. In contrast, open-cell foam insulates less well but offers superior breathability. Either type is expensive, in part because foam must be installed by pros. The higher the R-value of an insulation product, the greater its resistance to heat flow—and the higher its cost. So what R-value does your insulation need to have? That depends on where you live. Energy Star provides an easy-to-read chart that lists the recommended R-value for different parts of the country. R-values are cumulative, meaning that if you place R14 insulation over an initial layer with an R-value of 30, the insulation ends up being R45. Never compress insulation; doing so dramatically undermines it. Therefore, be wary if installing a denser material—say, rigid foam—over a lighter one, such as a fiberglass batt. Insulation products are clearly marked. Pay attention to that labeling so that you can be sure to spend no more than is strictly necessary. Hiring a contractor? Ask to see the label on each roll, batt, bag, or panel of insulation going into the job. That way, you can be certain you’re getting the R-value for which you’re paying. Home builders are in the habit of using only a base level of insulation. For that reason, it’s important to discuss your insulation requirements with the person in charge of the project. To avoid unnecessary delays, speak up early in the construction timeline, before the walls and siding have been fastened into place. Any floor, wall, or ceiling can be insulated, including those in unfinished basements or garages. The catch is that if your basement floods or your garage gets drafty, insulation might be a waste of money. Ideally, you should fix water and air leaks before you proceed to install insulation in a space affected by either issue. One key advantage in new construction is that builders have the opportunity to counteract a phenomenon known as thermal bridging, in which floor joists become a source of heat loss, causing a drop of up to 50 percent in insulation R-value. For best results, insulation must run above joists, not just between them. Estimates say that only 20 percent of homes predating 1980 are properly insulated, so if you live in an older home, chances are that installing insulation would dramatically lower your heating and cooling bills. If you’re interested, start with an energy audit (sometimes these are provided free of charge by the local utility company). Among other things, an energy audit reveals which parts of the house are subject to heat loss. Of course, those areas are the prime candidates for additional insulation. You can assess your insulation needs without consulting an energy auditor. The labor-intensive process involves such things as peeking into the attic and crawl space and, where possible, behind walls or beneath flooring. If you want to know whether there’s insulation on the other side of a wall panel, one trick is to remove the faceplate from an electrical outlet on that wall. You should be able to see in. How do you determine the R-value of any insulation that you find in your home? If it’s pink, white, or yellow, it’s likely fiberglass, which has an R-value equal to 2.5 times its thickness. If the insulation is gray or off-white, then it’s probably rock wool, in which case the R-value is 2.8 times the thickness. Loose cellulose insulation is typically gray, with an R-value that is 3.7 times its depth. In an existing home, it’s usually pretty easy to add insulation in areas like the attic, basement, or crawl space. Walls, on the other hand, can be very tricky—or, in other words, expensive. Here, the least invasive, most cost-effective solution is to rely on blown-in or spray insulation. • To cut blanket-style insulation, place the product over a piece of plywood, paper/foil side down. Lay a two-by-four on top, temporarily compressing the insulation to a manageable thickness. Then run a standard utility knife along the edge of the lumber, through the insulation and down to the plywood. • Insulation expands once unpackaged, so leave it wrapped until you are ready to use it. • Many insulation products release hazardous particles. If you choose to install insulation yourself, wear full protective gear and a dust respirator. • Do not install insulation directly adjacent to any element of the home that gets hot, such as recessed lighting. It’s a fire hazard. • If you’re insulating your attic, take care not to cover the vents, as they are essential for maintaining adequate airflow in the home.